CAREER HIGHLIGHTS Aschenbroich worked in the French government serving in the cabinet of former prime minister Jacques Chirac before switching to the private sector. He joined Saint Gobain in 1988 and spent 20 years with the French conglomerate. Aschenbroich became Valeo CEO in 2009 and added the chairman's post in February. 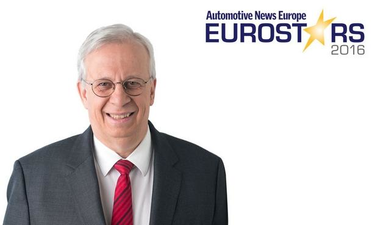 REASON FOR WINNING: Aschenbroich has positioned Valeo as a leader in high-value growth technologies such as autonomous driving and CO2 emissions reduction through partnerships and strategic acquisitions while also boosting revenue and profit margins. Valeo is partnering with Mobileye to develop camera and sensor systems and is collaborating with defense and aerospace group Safran on self-driving solutions for applications from cars to unmanned aircraft. Its recent acquisitions include Peiker, a major supplier of on-board telematics and mobile connectivity solutions.